Women and men in all regions of America frequent beauty parlors and barbershops. In the South the shops not only took on the gendered aspects evident throughout the rest of the country but also represented the racial divisions unique to the region. Not merely businesses that catered to beauty and grooming needs of southerners, beauty parlors and barbershops became important cultural institutions where people of different classes and occupations interacted. In a region where beauty is valued, both white and black women looked forward to their hair appointments so they could not only appear their best but also converse with friends and neighbors. In addition, hair salons were one of the public spaces outside of church where African Americans escaped the glare of white eyes and could share news, conduct business, and discuss any number of subjects. 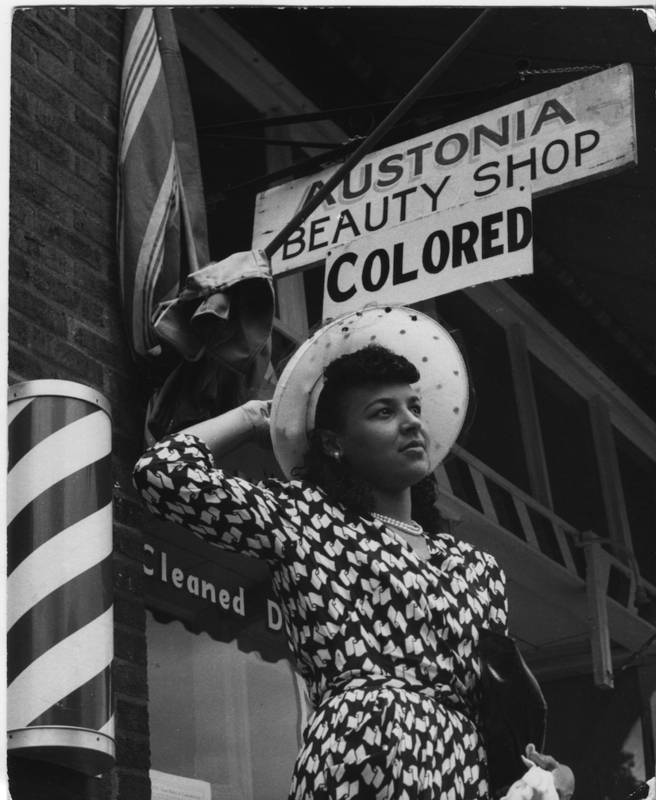 Beauty parlors and barbershops developed along separate racial lines. For Mississippians eager to improve their status by owning businesses, cutting and styling hair became one of the most accessible avenues to entrepreneurship because of the small capital investment required. In the antebellum South in particular, barbering offered African American men a rare path to prosperity. In addition to the low startup costs, barbering fit neatly into the concept of servility and deference that whites expected in the racial hierarchy. William Johnson of Mississippi, known as the Barber of Natchez, owned three barbershops and a plantation and at his death in 1851 left an estate valued at twenty-five thousand dollars. After the Civil War other avenues opened for African Americans, and the percentage of black business owners who were barbers dropped from 10 percent to less than 2 percent. By the early twentieth century, the black barbershop began to resemble the modern institution—a rare black public space where men could openly discuss issues and share information that might be dangerous outside the protective wall of the racially segregated barbershop. Black barbershops would have been one of the only places to discuss, read, or purchase the Chicago Defender, for example. The beauty industry enabled former slave and onetime Vicksburg resident Madame C. J. Walker to become one of the first black women millionaires. Walker employed twenty thousand people to sell her beauty products. The black beauty culture stressed greater opportunities through self-help and personal hygiene, emphasizing clean scalps and bodies and the societal opportunities available through self-improvement and beauty. Beauty entrepreneurs were often community leaders and worked to oppose lynching, obtain benefits for World War I veterans, and gain greater African American equality and civil rights in other areas. White women also found career opportunities as beauticians. Before World War I beauty shops were frequented primarily by elite women. The advent of bobbed hair, however, changed the beauty culture. Instead of simply shampooing and styling their hair, women of all classes wanted their hair cut in a style that needed regular maintenance. Many white women also operated informal salons in their kitchens, fixing hair for friends and neighbors. By the early twentieth century beauty organizations began to professionalize hair styling by instituting training requirements and requiring licenses and state agencies to inspect and regulate practitioners. During the New Deal, the National Recovery Act set codes, hours, and wages and targeted kitchen beauticians who charged less and often mixed their own products. The trade journals for white and black beauticians demonstrated different attitudes toward the beauty culture. Whereas white trade publications stressed technical developments, African American not only covered new technologies but also featured articles on female entrepreneurs, neighborhood shops, and political struggles.